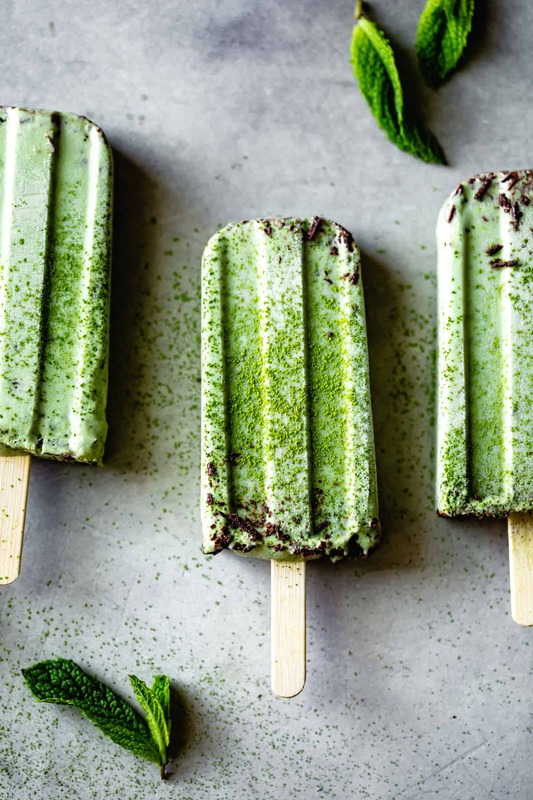 These Vegan Matcha Mint Chip Popsicles burst with the flavors of green tea, fresh mint leaves, and dark chocolate all wrapped up in a creamy cashew coconut base. Meanwhile, here are some pretty pictures of popsicles and a recipe. 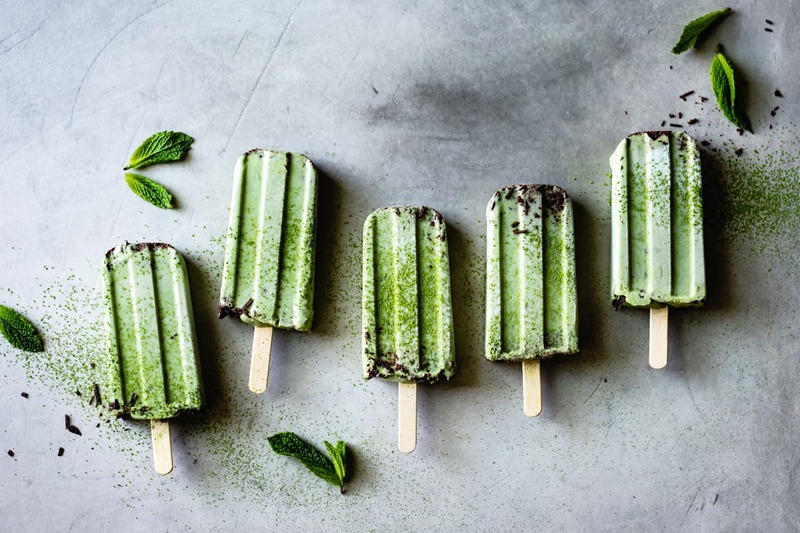 The idea for these vegan matcha mint chip popsicles has been in my head since I published these minty vegan fudgesicles a few years back. I whipped them up for popsicle week, a super sweet tradition founded by Billy at Wit and Vinegar. 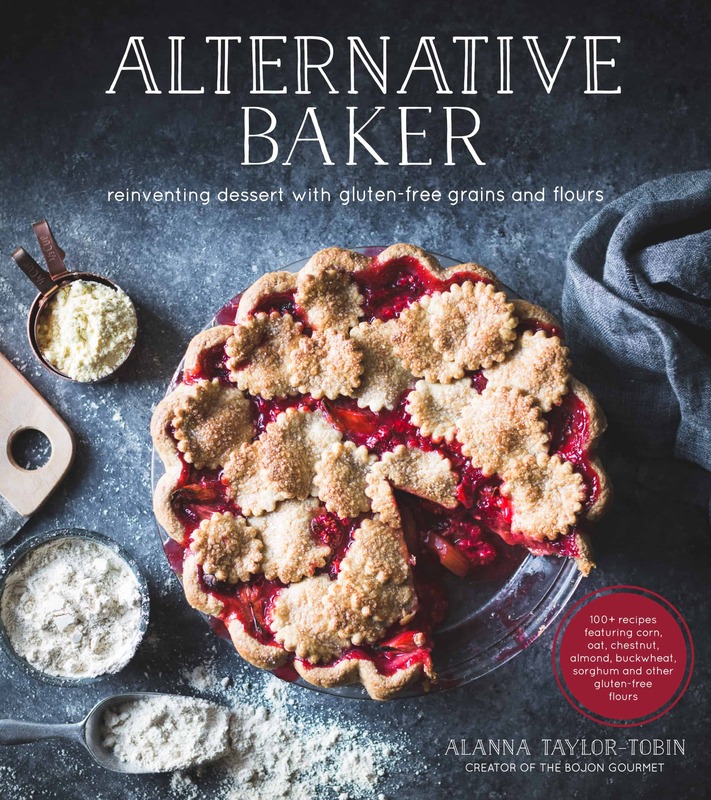 Pop over there to see what everyone else has whipped up! 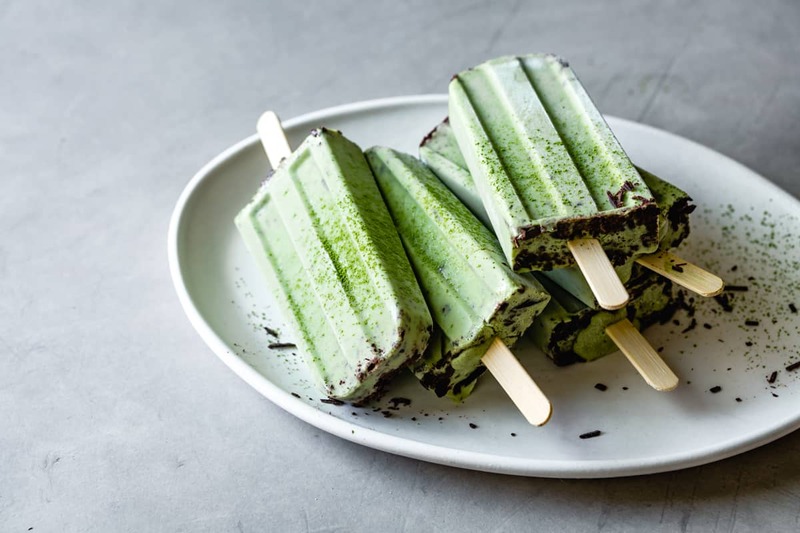 The base of these matcha mint chip popsicles is comprised of soaked cashews blended with coconut milk and a simple syrup made with a giant bunch of fresh mint leaves. 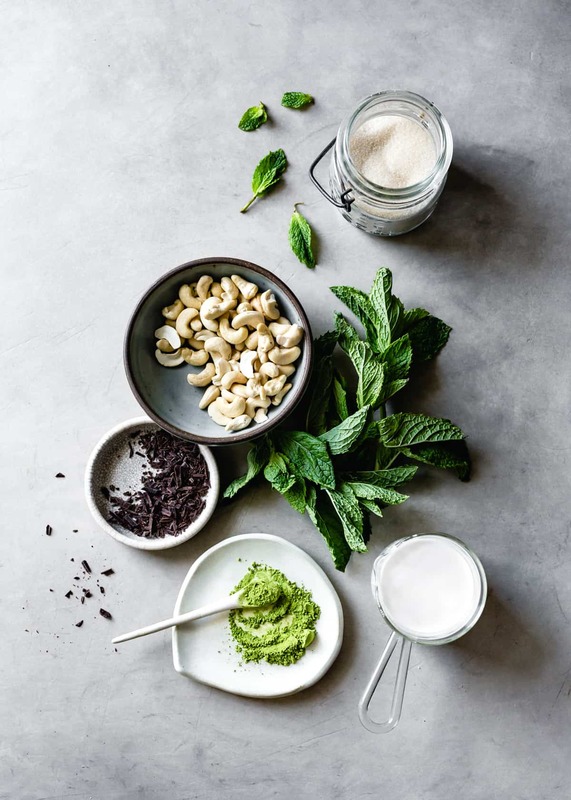 The soaked cashews make the base extra creamy and give it a more neutral flavor that lets the softer mint and matcha come through. 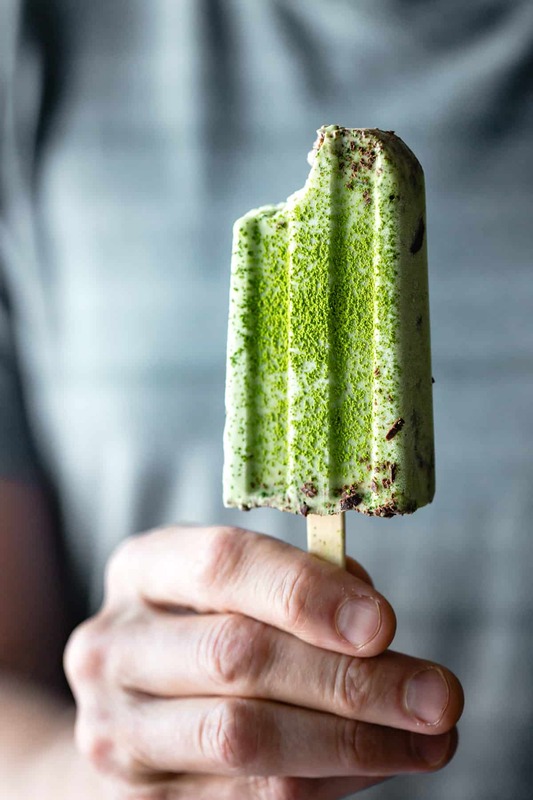 The matcha gives the pops a gorgeous green hue, though I like to add in a little chlorella powder for extra green. 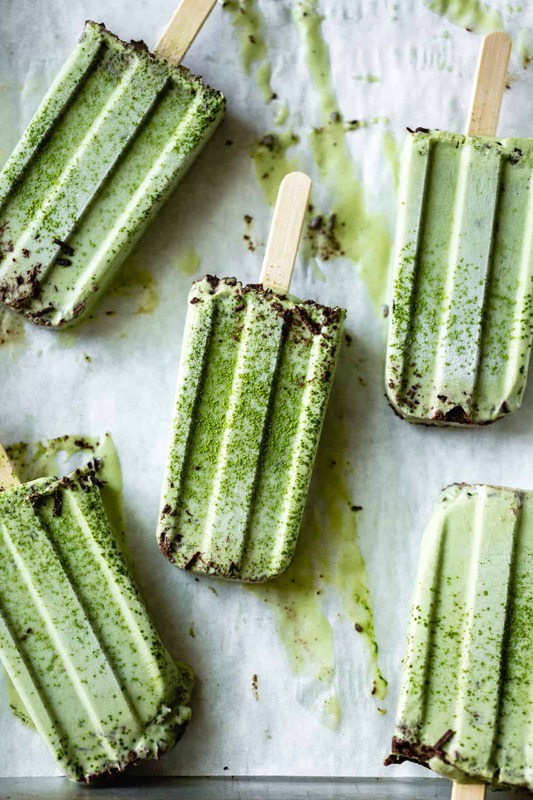 These matcha mint chip popsicles are equal parts healthy and decadent, and they refresh on a warm summer’s afternoon. 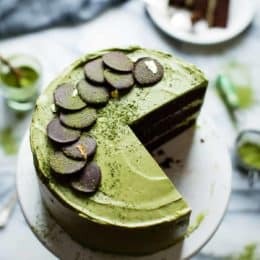 They run on the less-sweet side thanks to the bitterness of matcha and chocolate tempering the sweet, creamy base. I used a 66% chocolate here, but use a sweeter or less-sweet percentage depending on your taste. Be sure to chop the chocolate quite finely and follow the directions for mixing it in so it doesn’t all fall to the bottom of the popsicles. I love the contrast of the slightly toothsome chocolate against the creamy popsicle base. The chocolate takes longer to melt in your mouth so it’s the last thing you taste. When it comes to matcha, all are not created equal. 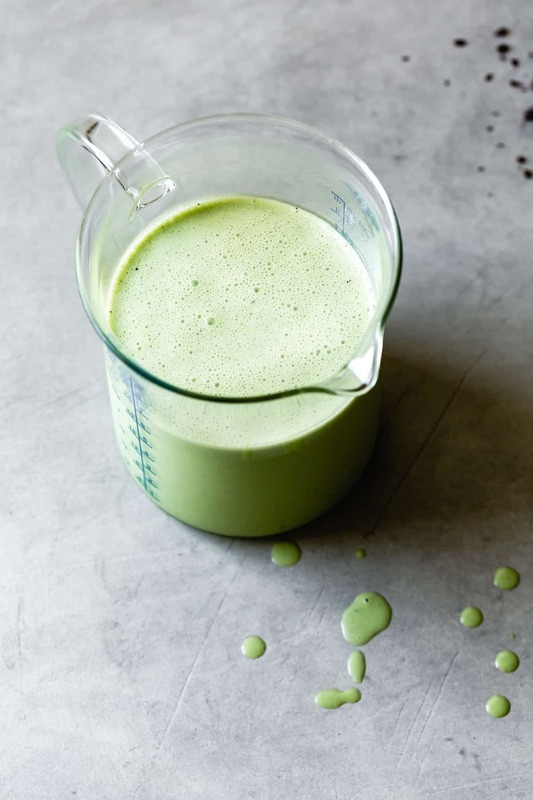 Your matcha powder should be a vibrant green color, not yellow or brownish, which means it hasn’t been made or stored properly and has oxidized. Encha is my favorite brand and can be ordered here; it’s organic, too. 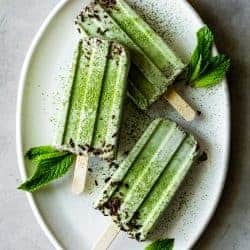 These creamy vegan matcha mint chip popsicles get a boost of flavor and color from matcha powder, fresh mint, and plenty of finely chopped chocolate. Be sure to give yourself time to soak the cashews, cool the simple syrup, and partially freeze the popsicles before stirring in the second addition of chocolate. The chocolate adding method ensures that you get a bit of chocolate in every bite, otherwise it all falls to the bottom. 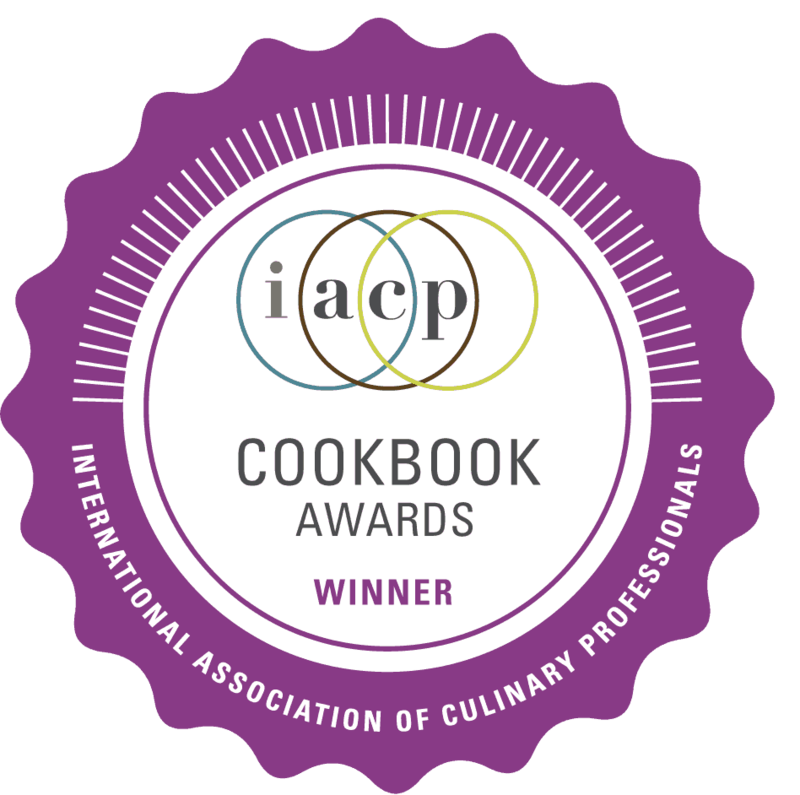 If you're looking for a nut-free version, try this one from Izy at Top with Cinnamon. Soak the cashews as directed. In a medium saucepan, bring the sugar and water to a boil, stirring to dissolve. Add the mint and stir until wilted. Remove from the heat, cover, and steep for 5 minutes. 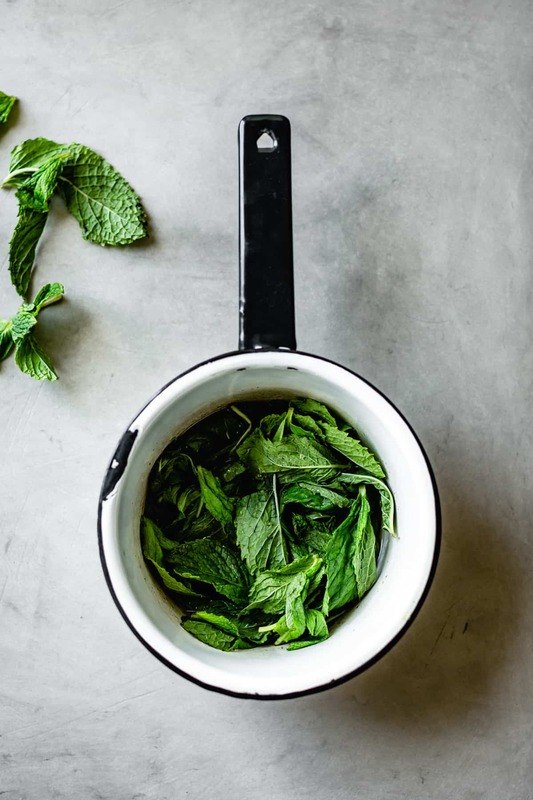 Strain the syrup into a heatproof container, squeezing the mint to extract all the good stuff, discarding the leaves. Let the syrup cool to room temperature, or chill if not using right away. Drain the cashews and place them in the bowl of a sturdy blender (preferably high-speed such as Blendtec or Vitamix). Add the mint syrup and blend until smooth, 1-2 minutes on medium-high. Add the coconut milk and blend until silky smooth, 1-2 more minutes. Blend in the matcha, salt, and peppermint extract and chlorella if using. 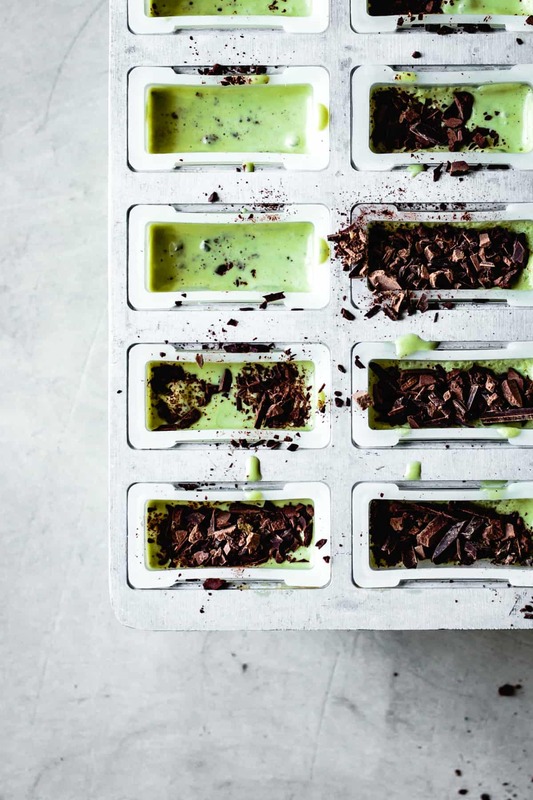 Divide half of the chopped chocolate among 10 (3-ounce) popsicle molds. Pour in the popsicle mixture, leaving about 3/8-inch room at the top. Freeze until semi-frozen, 15-30 minutes depending on the power of your freezer. 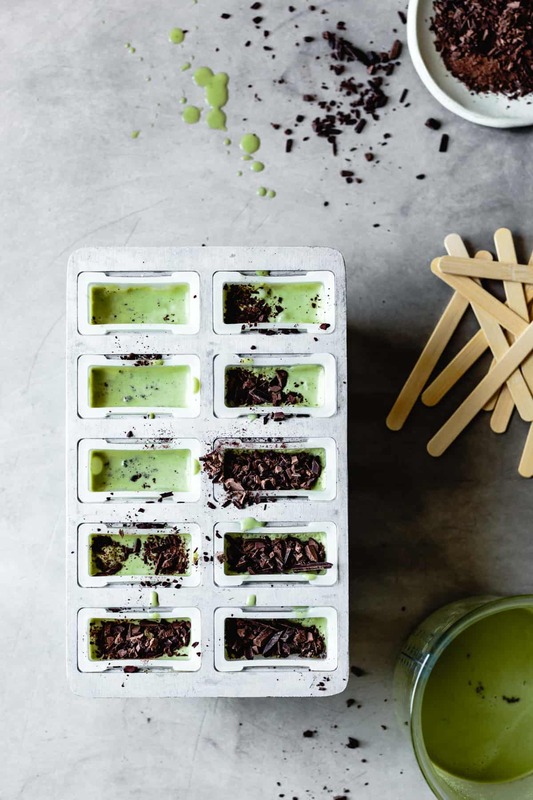 When the popsicles have a partially-frozen, sludgy texture on top, stick a chopstick into the mold and stir the chocolate bits on the bottom into the popsicle mixture. Divide the rest of the chopped chocolate among the tops of the popsicles and use the chopstick to gently stir it into the top of the popsicles, topping them off with extra popsicle base if you have any left. Make sure the chocolate is well-stuck into the popsicle base so it doesn’t flake off onto your shirt as you’re eating the popsicles. Add the popsicle sticks and freeze until firm, at least 2 hours and up to several days. 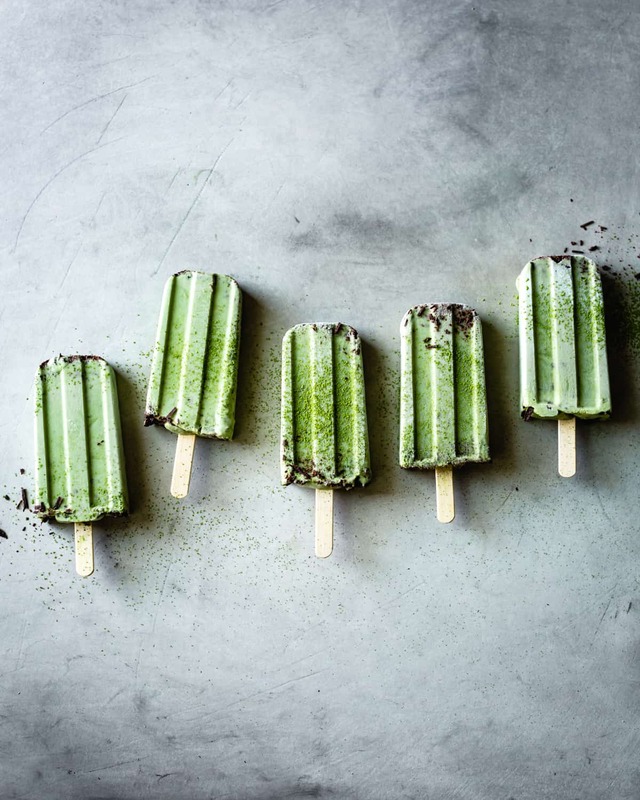 Unmold the popsicles and serve dusted with a little matcha if desired. Ideally, let them soften slightly at room temperature for 5-10 minutes before enjoying. Hi! 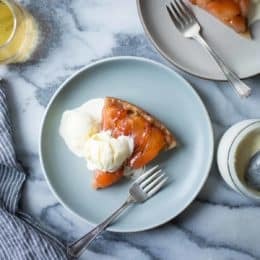 Totally trying this recipe, looks amazing. Would love to know where the popsicle molds come from? Thanks! 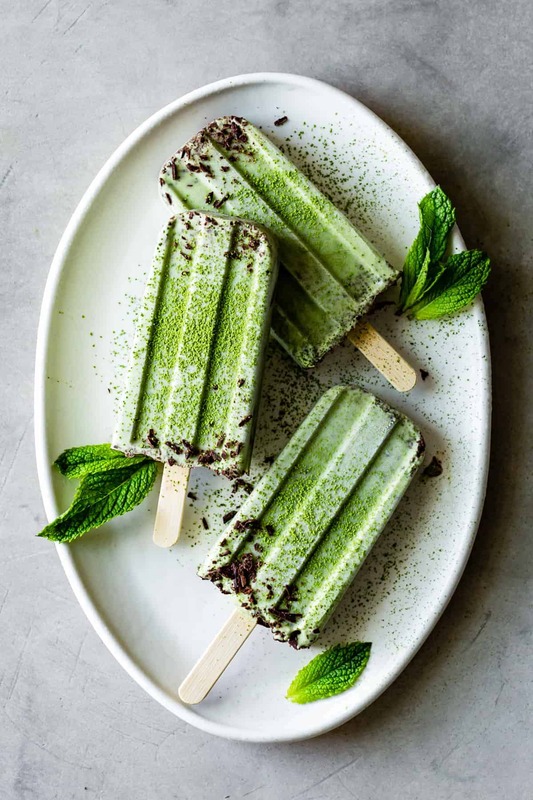 Mint chip is my FAVE ice cream, so I’d love to try these! I had the pleasure of eating not just one but a few of these and they’re just so creamy and delicious! 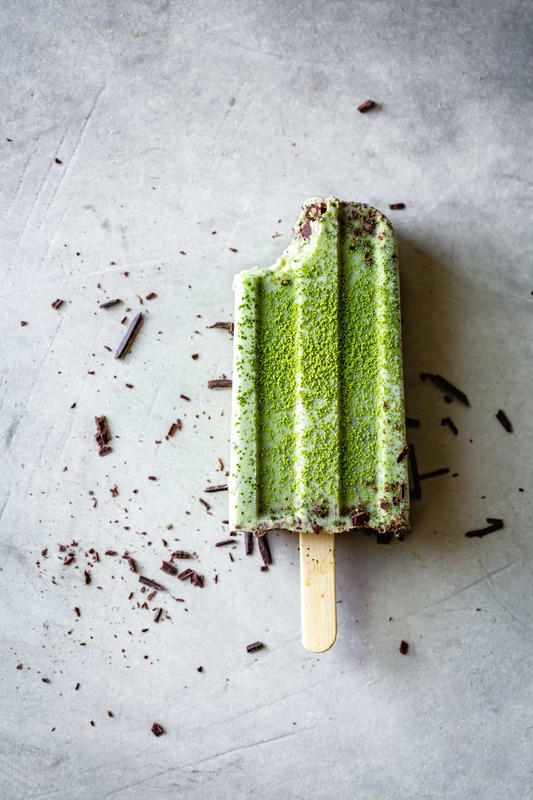 Matcha + mint were made for each other and the chocolate is, in my opinion, the very best part because it adds a texture surprise among the creamy pop! These are so, so pretty. Serious summer heat has descended here in the East and I’m just drinking in that etherial light you have. (Even if it’s totally hot out West, I’m imagining cool breezes and refreshing nights.) 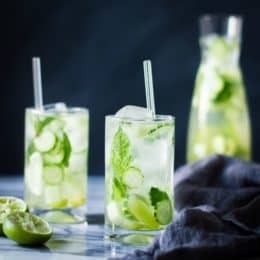 Mint is my favorite for anything frozen and I love how you’ve managed to make an old favorite so now and interesting! Dreaming some serious popsicle dreams over here. 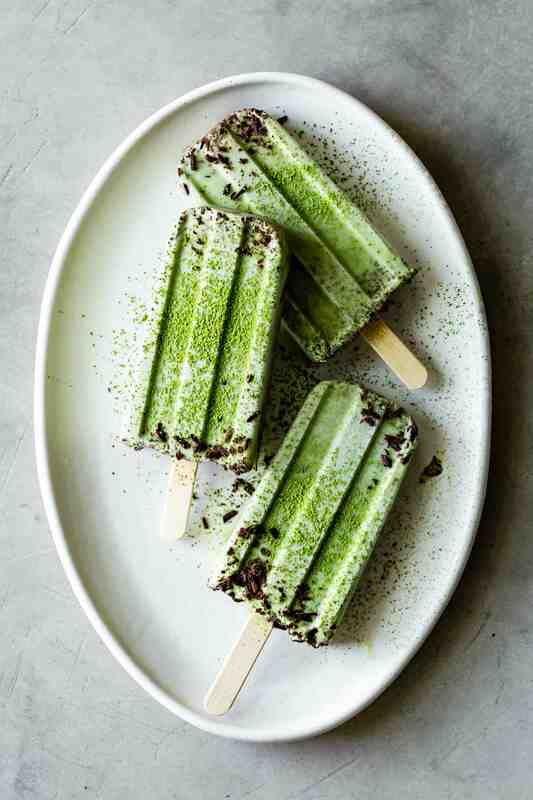 If there’s anyone or anything that could turn me into a matcha lover, I’m 100% positive it would be you with these popsicles. 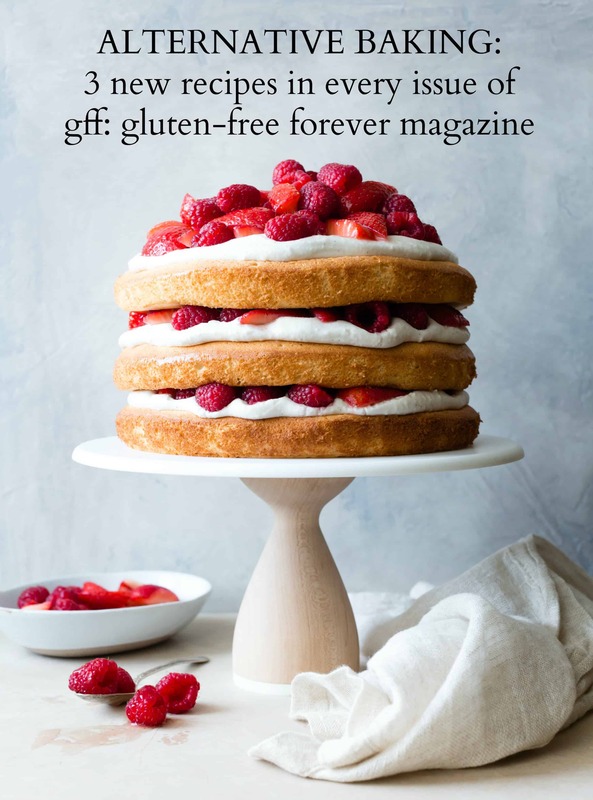 They look incredible, and I love that you used cashews + coconut as the base. If one’s not making the cashew milk from scratch, how much total liquid should be used (I’m actually asking this re. your blackberry maple cream popsicles…I bought good-quality cashew milk as I don’t have a powerful blender)? Thanks! Hm, I’m not sure as I didn’t measure the final amount… but also this cashew cream is much richer than regular cashew milk, so your pops might be more icy if you use storebought cashew milk. You could also try blending in some cashew butter to make it more rich? Please let me know what you come up with!